This is near Justice KY. 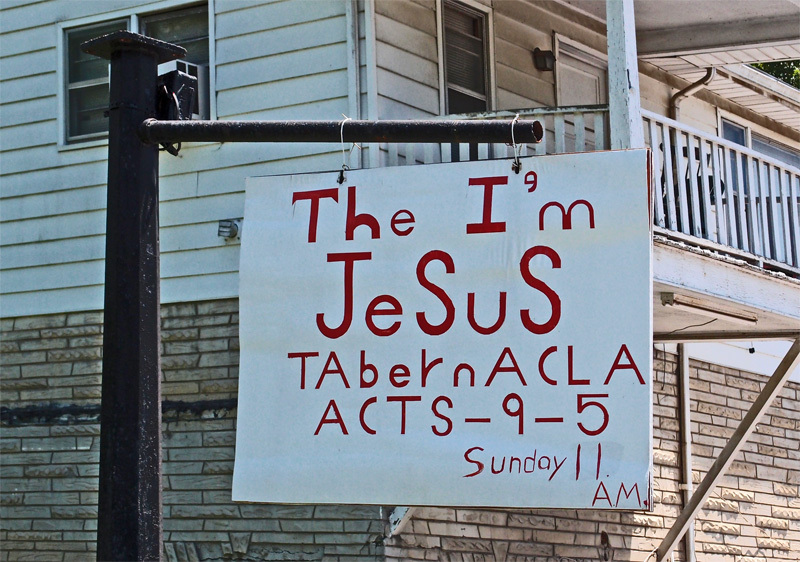 The sign painter sort of lost his way toward the end of “tabernacle”. Posted in Bob Lawrence Photography and tagged Acts 9:5, Justice KY. Bookmark the permalink.